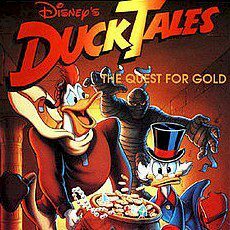 Scrooge McDuck is here to get rich, despite the fact that he has almost all gold in the world. But he can't allow his competitor to get these treasures. Have you ever met Scrooge McDuck and his nephews? This is the richest family in the world and Scrooge swims in his gold like it's a pool with water. Well, try to increase his wealth even more by gaining gold from the adventures!